Invesco will put 208 billion won ($186 million) into a modern logistics center development near Seoul, betting on the fast-growing online delivery market of fresh produce in the world’s most wired country. The US investment firm will inject the money into a real estate development fund of Seoul-based Mastern Investment Management Co. Ltd. to build a 158,000-square-meter distribution center within the Siheung industrial complex in Gyeonggi Province, 50 km southwest of central Seoul. The construction will begin next month and is scheduled to be completed by the first half of 2021, according to investment banking sources last week. It was not immediately known whether the two companies raised additional funding for the project. 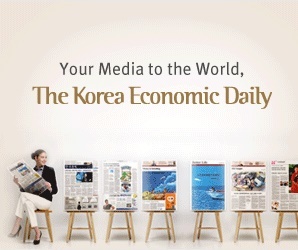 In South Korea, start-up firms such as Market Kurly are leading the online fresh produce delivery market by offering high-quality food and half-cooked meals of high-end restaurants, along with the rise of double-income and single households. Retail giant Shinsegae Inc. and social commercial companies including Coupang Corp. are also expanding into the market, as sales growth from department stores and online shopping malls stalled. “Online shopping accounts for 40% of total consumer spending in South Korea. But online ordering makes up just 20% of total grocery sales,” said one of the sources. Invesco plans to use the first and second floors of the new distribution facility as cold storage spaces and the third floor and above as normal-temperature warehouses. The facility is one-hour drive to central Seoul, located near a highway interchange. “It is conveniently located to deliver fresh produce to the Seoul metropolitan areas three times a day. Many companies had already shown interest in renting the place, even before the construction began” Sungkwan Koh, a Mastern Investment executive, told the Korean Investors. In June 2018, Atlanta-based Invesco had invested an undisclosed amount in a shopping mall development project near Gwangmyeong Station, a bullet train stop in the metropolitan region. In 2016, it acquired a new office building in southern Seoul for around 200 billion won.